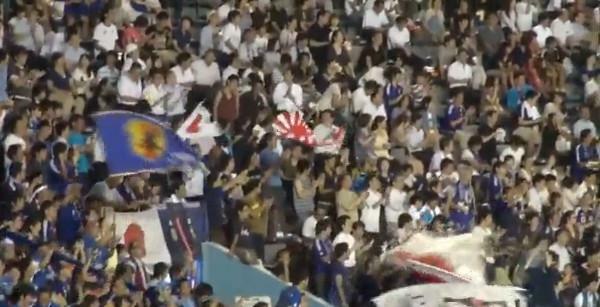 MANY people know of Japan’s National High School Baseball Championship, a single-elimination tournament held every August at Koshien Stadium in Hyogo. The largest amateur sporting event in Japan, it has been held since 1915 and is commonly referred to as Koshien for the park where it is played. Not as well known, however, is that a team from Taiwan reached the finals in 1931, during the imperial era, and almost won the championship. Imperial Japan in those days had colonies in Taiwan, Korea and Manchuria, and teams from those regions were invited to Koshien if they made the grade. But only the Kano team from Taiwan was invited to the all-Japan championships, and not just once, according to Masato Fujishima, a Japanese reporter for the Asahi Shimbun in Tokyo, but five times. 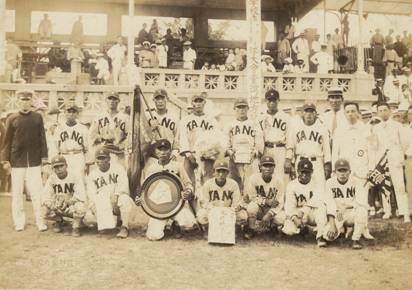 However, it was only the 1931 team that played their hearts out all the way to the Koshien finals. Other sources say the team was viewed at the time as a symbol of integration because its members included the children of Japanese settlers, aboriginal Taiwanese, and Han Chinese. Their success helped popularize the sport in that country. On the other hand, Dan tells me that the Koshien appearance came one year after the Wushe massacre, in which a Taiwanese indigenous tribe killed 134 Japanese. That resulted in the Japanese killing about 1,000 of them. Thus, there were still internal tensions on the team. The director of the movie about Kano also directed a movie about the massacre last year. You can read Dan’s article here. And you can see a Taiwanese news program feature on the team here, with the bonus of contemporary films and photos. Ain’t the Internet grand? The colonial legacies in (South Korea and Taiwan), however, are markedly different, and this difference is essential to understanding why these countries have developed as they have since the end of World War II. With this in mind, how did the experience of Japanese colonialism contribute to the subsequent success of Asian countries in their state and economic development? What implications did these developments have for subsequent democratization? Upon initial inspection…the countries that experienced the Japanese colonial system — one that was more intrusive and more focused on complete modernization and transformation than other systems — appear to have been the most successful countries in developing modern states and economies (namely, South Korea and Taiwan). In comparison, the former French Indochina colonies (i.e., Vietnam, Cambodia and Laos), the former British colony of Malaya (which included Singapore), and the former Dutch colony of Indonesia have each experienced varying levels of success in state development, economic growth and democratization; yet none has reached the success of South Korea and Taiwan in any of these areas. While there are undoubtedly many reasons for these results, this paper will show that the Japanese colonial influence played a key role, by completely altering the trajectory of modernization in Korea and Taiwan, to the creation of successful modern, industrial states. Japanese diplomats counter by pointing out that just because Deng said something doesn’t mean they agreed with him. Note the Chinese attitude in both examples is that their unilateral declaration = bilateral agreement. Without reading the rest of the exchange, it seems the Japanese view of the Tanaka-Zhou summit is logical. The Chinese never said a word about the Senkakus until the year before. Tanaka is politely asking, “What’s up with you guys.” Zhou didn’t want to say. But everyone (in this part of the world) understands what Deng Xiaoping said. This op-ed by Dan Bloom in the Taipei Times describes another Chinese map that the New York Times and the Washington Post swallowed whole. It should be noted that contemporary Chinese newspapers reported on Japan’s declaration of its occupation of the Diaoyutais in 1885, but the Qing Dynasty government did not raise any objection either at the time of Japan’s declaration or thereafter. Compare that with the Shaw Han-yi assertion in Nicholas Kristof’s New York Times column that Japan kept their claim on the QT. Shima Uta means “Island Song”. MICHAEL Turton examines the recent guest article by Han-yi Shaw about the Senkakus in the Nicholas Kristof New York Times column and shreds it. Literally. Here was my response, but his is better. First, kudos for sharp eyes: I’ll let Turton explain it. And according to Taiwan gazetteers, “Diaoyu Island accommodates ten or more large ships” under the jurisdiction of Kavalan, Taiwan. Heh. The Chinese text he highlights, presumably from the Chen Shouqi text on the right, actually says something like “the Diaoyu Island can hold 1000 large ships.” Not ten, but a thousand. Is Shaw deliberately mistranslating, mistaken, or is it that the gazetteer he cites is not the one in the picture? Sure enough, that’s exactly what the text in the photograph says: 1,000 large ships. That’s physically impossible. Shaw was new to me, so I wondered in the piece whether he had another agenda. He wasn’t new to Michael Turton. Here’s his explanation of the Shaw background. …Many Chinese scholars have argued that when evaluating the various historical evidence put forth by the Chinese side, one must not fail to recognize the important political realities of the time from which they originated, namely, an era characterized by the East Asian World Order (otherwise known as the Chinese World Order). The underlying concern is the following: whether principles of modern international law, which has its origin in the European tradition of international order, can properly judge a territorial dispute involving countries historically belonging under the East Asian World Order with fundamentally different ordering principles from its European counterpart. First and foremost, it should be noted that the East Asian World Order was a system of international relations characterized as Sinocentric and hierarchical rather than one based on sovereign equality of nations. Under such a framework, relations between nations were not governed by principles of international law known to the West, but instead by what is know as the “tributary system” instituted by China. It looks like Shaw claims that there are Chinese scholars arguing that if China says someone paid tribute to it at some point in history, China can determine the sovereignty in its favor. I doubt one can find many Korean, Mongolian, Tibetan, Japanese, Thai, or Vietnamese scholars to support this. It is hard to imagine a mindset more self-serving and expansionist than this. Imagine if the NYTimes column had been fronted by this nonsense. Instead, Shaw cleverly frames it as an attack on Tokyo’s position rather than an announcement of his own with copious evidence, maps, and charts. What has really happened here is that the East Asian World Order as deployed in the service of Chinese expansion means that when China wants to expand, it will rummage through its history to find justification for said expansion. Thus, the real inconvenient truth is that the Senkakus are Japanese and the Chinese claim is simply naked expansionism. The even more inconvenient truth, as I have noted several times on this blog, is that many Chinese, especially on the right, argue that Okinawa is Chinese, “stolen territory” — in Chinese minds, and on Chinese maps, the two are linked. It should be noted that effectively, when the Ma government and the Beijing government tag-team Japan, the Ma government is working with China, whatever their denials. It’s all here, and worth reading every word. It would seem that the credibility of a certain Pulitzer Prize-winning columnist in the New York Times is rapidly evaporating. 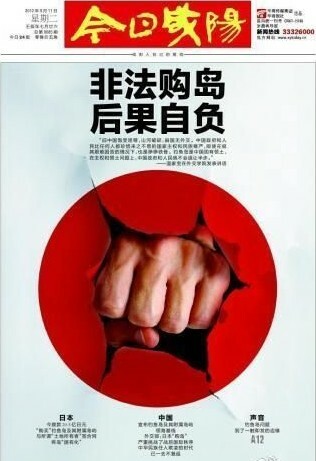 The media in the Sinosphere and South Korea are cavalierly spinning reports about Japan from the Western media. These are being translated into Japanese and placed on the Net, creating a vicious cycle. Another example is the false reports from the Liberty Times in Taiwan and the Joongang Ilbo of South Korea, which stated that Taiwan President Ma Ying-jeou proposed a hearing at the International Court of Justice to resolve the Senkakus issue during his recent television appearance in Japan. False reports in a newspaper? Who’d have guessed? Mr. Ma made the case for Taiwan’s possession of the Sankakus during the program broadcast on 21 August, but he said nothing about the ICJ. He did say that he wanted the issue to be settled peacefully and to strengthen ties with Japan, because that is also what the Taiwanese people want. Basically, our claim is that sovereignty lies with the Republic of China, but we will shelve the dispute to work together peacefully and jointly develop the resources in the area. Our position that the islets are our territory is unshakeable, and cannot change in the slightest. But while territorial rights are not divisible, our country believes that the resources can be shared. If there is a consensus between the countries, we will shelve the dispute and work together to develop the resources in a peaceful and mutually beneficial manner. I would like to take this opportunity to tell this to the people of Japan. Taiwan views its relationship with Japan as extremely important. Relations over the past few years have been better than they have been over the past 40 years. We do not want this issue to have an impact on those relations. Therefore, we call on Japan to face this dispute directly and work with us to resolve this issue in a peaceful manner. For the past four years (i.e., his first term), I have considered the relationship with Japan to be a “Special Partnership”. People will have disputes, but it is most important for everyone to deal with each other sincerely to resolve their problems peacefully. That’s the path for a relationship between friends. My position has consistently been to maintain the approach of clearly separating the historical blessings and animosities and evaluate each fact as a fact. Friendly relations and cooperation will be the cornerstone of the bilateral ties between the Republic of China and Japan. I want to develop this relationship for our mutual benefit. Sounds wonderful, doesn’t it? His message was delivered to the Japanese public. Unfortunately, some people in Taiwan didn’t get the message, or else the president wasn’t serious. The Taiwanese have spent the past two days violating one of the terms of Mr. Ma’s East China Sea Peace Initiative: Self-restraint to prevent an escalation of confrontation. At least 75 Taiwanese fishing ships will sail to the disputed Diaoyutai (Diaoyu or Senkaku) islands on Monday afternoon to protest Japan’s nationalization of the island chain and assert Taiwan’s fishing rights in the region, according to the event’s organizers. Coastguard vessels from Japan and Taiwan clashed with water cannon after dozens of Taiwanese boats escorted by patrol ships sailed into waters around Tokyo-controlled islands. Japanese coastguard ships sprayed water at the fishing vessels as the Taiwanese patrol boats retaliated by directing their own high-pressure hoses at the Japanese ships. In addition to protesting the Japanese government’s recent purchase of three islets in the island group from their private owners to ramp up its sovereignty claim, the protest voyage is also aimed at asserting local fishermen’s rights to operate in the waters, around the islands, which have long been Taiwan’s traditional fishing grounds, Chen (Chu-sheng, head of the organizing committee) said. The fishermen will try to penetrate the Japanese coast guard’s defense line to enter waters 12 nautical miles off the Diaoyutais and unfurl protest banners to vent their anger over frequent harassment during their fishing operations in the area, Chen said. The participating fishermen have not ruled out the possibility of landing on any outcrop in the contested island chain, Chen said. They had the backing of one part of Taiwan’s government. Taiwan’s military has response measures in place for contingencies that could arise from a scheduled visit by dozens of Taiwanese fishing boats to the waters near the disputed Diaoyutai (Diaoyu or Senkaku) islands on Monday afternoon, says the country’s defense minister, Kao Hua-chu. The Coast Guard Administration will be responsible for escorting the fishing vessels during the visit to the Diaoyutais, while the military will provide related support, Kao said during a hearing at the Legislature’s Foreign Affairs and National Defense Committee. “The ministry has completed preparations for any response measures,” Kao said, adding that senior defense officials will be stationed at a command center in Taipei. 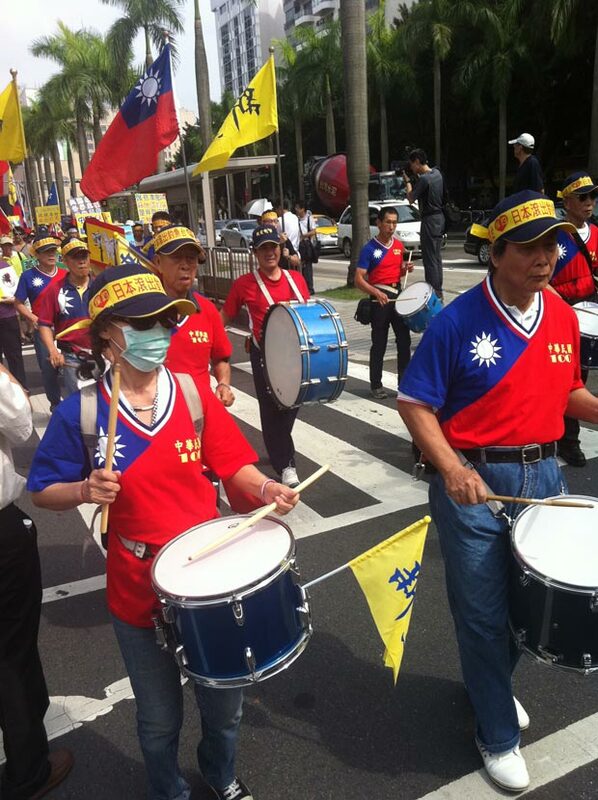 The Taiwanese military is the legacy of Kuomintang dictatorship and modeled after the Soviet Red Army. It serves the party, not the country, which is why the ranking officers are mainly (外省人) mainlanders. 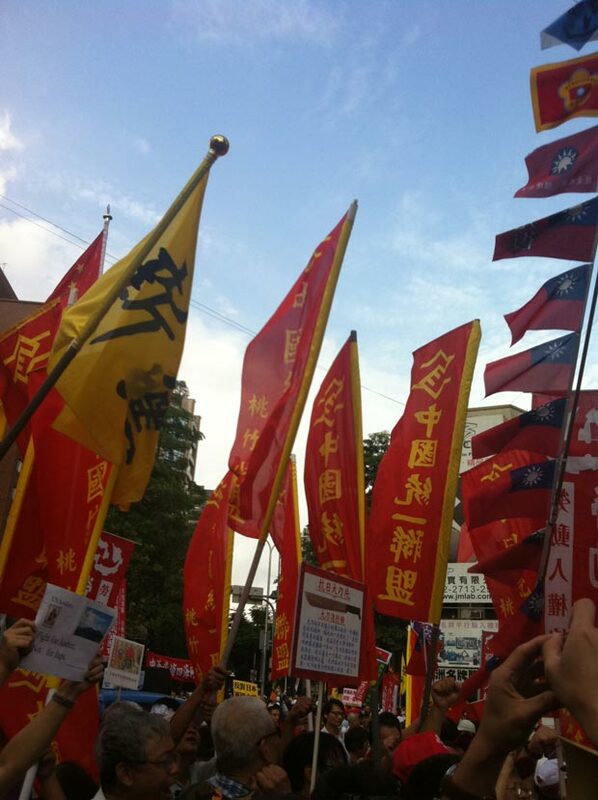 The protesters chanted slogans such as “The Diaoyutais are ours” and called on both sides of the Taiwan Strait to join arms against Japan’s sovereignty claim to the territory. Political parties such as the New Party and the People First Party have expressed their support for the protests. The fishermen plan to assemble 20 nautical miles southwest of the disputed islands at 5am Tuesday, and circle the islands afterward. Former Chairman of the Yilan County Longline Fishery Association Lin Jih-cheng said that the fishermen will not set foot on the islands during the protest. They will, however, sail as close as 12 nautical miles off the island group, Lin said, adding that they will also communicate their concerns about fishing rights to the Japanese government via banners. The operation was made possible with a NT$5 million (US$170,500) donation to subsidise fuel costs, Chen said. The flotilla reached the contiguous waters (22-44 kilometers offshore) at 5:00 a.m. on the morning of the 25th, along with more than 10 Taiwanese Coast Guard vessels. A Taiwanese Navy ship monitored the situation from 56 kilometers offshore. Thereafter 10 fishing boats and six of the Coast Guard vessels entered Japan’s territorial waters at 8:00 a.m.
We are working to collect information with a sense of urgency and we will make every effort to conduct warning and surveillance activities. This should be resolved in the context of good Japan-Taiwan relations, and we want to respond to this calmly. The ships left the area by noon and were out of the contiguous area altogether by nightfall. They seem to have accomplished nothing more than getting in the way. Well, there’s another possibility. None of the Chinese news reports above mention who chartered the fishing boats for their maritime protest, but the Japanese fingered mogul Tsai Eng-ming, the richest man in Taiwan. A billionaire, Mr. Tsai’s flagship company is Want Want China Holdings, and he made his money in the snack food and beverage business. They’re Taiwan’s largest rice cracker manufacturer. He also bought the local China Times newspaper and converted it from an anti- to a pro-Beijing publication. The first two articles above come from their Want China Times website. Sources in Japan say that Taiwan’s China Times was noted for the quality of its articles and journalists. 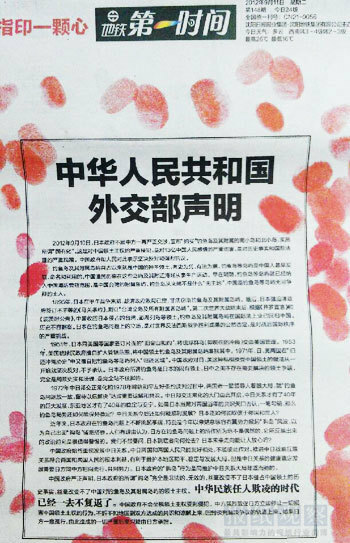 After Mr. Tsai bought the paper, however, the quality suffered and he pointed the newspaper’s perspective in the opposite direction. This caused turmoil in the newsroom, resignations, and street protests by the reporters. Some charged that he had the paper’s reporters tail critics of the purchase and write slanderous articles about them. Was his donation to promote a political view, to promote his rice crackers, or both? No one seems to know. Meanwhile, the Chinese say they have 200 of their own fishing boats in the area and 10 fishery patrol vessels to defend their interests. Also, the foreign ministers of China and South Korea met in New York at the UN to discuss the coordination of their strategy to apply international pressure on Japan regarding “historical issues”. 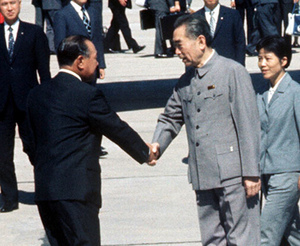 South Korea had agreed that those issues were resolved in 1965, and China did the same in 1978. But why let legal documents get in the way of geopolitical rent-seeking and hegemony? Neither of the two countries should seek hegemony in the Asia-Pacific region and each is opposed to efforts by any other country or group of countries to establish such hegemony. Once upon a time, the actions of China and Taiwan were the sort of behavior that diplomats would have described as provocations. They still are, but people can’t bring themselves to talk that way anymore. The problem to start with is that the idea is spreading throughout East Asia that Japan will always fold whenever history is brought up. Another problem is that the axis of Japan’s Asia policy lies in China and South Korea. The postwar period for Japan seems to be over. And now they have to figure out how to deal with neighbors who act in bad faith, and who’ve lost their heads and are blaming it on them. Here’s how Want Want makes the money to spend on media outlet purchases and fishing boat charters. WELL, look what they found — The Jiji news agency reported on Sunday that among the recently declassified documents in the National Security Archives at George Washington University was a May 1971 CIA report compiled to study the territorial claims for the Senkaku islets. The sleuths examined maps published in Japan, China and Taiwan, and concluded they strongly supported Japan’s territorial claim. They agency said the evidence backing the Japanese position was very persuasive, and that the responsibility for presenting evidence of any territorial claim was China’s. They didn’t have to attend spy school to reach another of the report’s conclusions. The CIA said the dispute wouldn’t exist were it not for the undersea oil nearby. It only arose in China and Taiwan after the possibility of oil deposits was discovered in 1968. What’s more, they found yet another Chinese map showing that the islets were Japanese. This one was published in 1966 in an atlas for the Red Guards of the Cultural Revolution. It positioned the Senkakus as part of the Ryukyus, or the Okinawa island chain. They found no maps in Taiwan that put the Senkakus on the China side of the border until after the dispute arose. The results were the same when they looked at European maps, including those of the Soviet Union. For the Chinese, however, the map isn’t the territory. In fact, the Sankei Shimbun reports that they’ve talked to Japanese Coast Guard officials who think they see the emerging Chinese strategy. China has withdrawn most of their maritime surveillance boats that enforce maritime law, which they dispatched last week, and is replacing them with fisheries law enforcement command boats in the contiguous zone around the islets. Maritime law allows a nation a degree of control within that zone to enforce some of its laws. The Chinese ships are boarding and inspecting Chinese fishing boats to see if they’re operating under Chinese law. In other words, they’re attempting to assert control by behaving as if it were their territory, where they have every right to enforce their own laws. They’ve also reportedly hailed, but not boarded, Taiwanese fishing boats. A US newspaper is reporting that China earlier this month carried out a series of practice or “simulated” attacks targeting Taiwan. “The tests included multiple firings of short and medium-range ballistic missiles as well as land-attack cruise missiles,” the Washington Times reported. … GSDF Major Yohei Ito said his forces had never conducted a drill covering a complete island before. He said it was significant that his forces were holding the exercise on Guam under the assumption that it was one of Japan’s remote islands. He said the drill was not aimed at any particular country but targeted various threats. ON Thursday, Nicholas Kristof of the New York Times presented a guest piece in his On The Ground column by Han-Yi Shaw (original name, Shao Hanyi), a Research Fellow at the Research Center for International Legal Studies at the National Chengchi University in Taiwan. Mr. Shaw suspects that Japan illegally seized the Senkaku islets from China in 1895 and thinks he can prove it. These islets are at the center of a serious dispute between the two countries. The Japanese government’s purchase of some of the islets from their private Japanese owners caused violent demonstrations throughout China last week. The Shaw article is titled The Inconvenient Truth Behind the Diaoyu/Senkaku Islands. That’s apt, because the truth is inconvenient indeed — for Mr. Shaw. His piece is weak, short on facts, long on innuendo, and contains internal contradictions and inaccuracies. And if that weren’t enough, Mr. Shaw unwittingly demonstrates that he doesn’t follow current events in Japan very closely. Japan’s recent purchase of the Diaoyu/Senkaku Islands has predictably reignited tensions amongst China, Japan, and Taiwan. Three months ago, when Niwa Uichiro, the Japanese ambassador to China, warned that Japan’s purchase of the islands could spark an “extremely grave crisis” between China and Japan, Tokyo Governor Ishihara Shintaro slammed Niwa as an unqualified ambassador, who “needs to learn more about the history of his own country”. Ambassador Niwa was forced to apologize for his remarks and was recently replaced. But what is most alarming amid these developments is that despite Japan’s democratic and pluralist society, rising nationalist sentiments are sidelining moderate views and preventing rational dialogue. Now here’s what he doesn’t say and what he left out. The duties of an ambassador do not include giving interviews to foreign publications, in this case the Financial Times, to influence the policies of his government. Their duties are limited to serving in a foreign country as representatives to express their government’s views and policies. Mr. Niwa also reportedly made several other poorly received statements, including the suggestion that the Age of a Greater China is coming, and that Japan would be better off becoming a Chinese vassal state. Mr. Shaw might not know that Niwa Uichiro was not a career diplomat. He resigned his position as chairman of Itochu Corp., a large trading company with extensive business interests in China, to become the ambassador. He neglects to mention that Mr. Niwa was summoned to Tokyo from Beijing to ensure that he would deliver the messages to China that the Japanese government wanted him to deliver, instead of what Niwa Uichiro thought they should say. I know of no Japanese who publicly called for Mr. Niwa to be retained in his position. Ishihara Shintaro’s criticism had little, if any, impact on the decision. But one of the points of Mr. Shaw’s piece is to convey the idea that the ultranationalist Ishihara is preventing “rational dialogue” in Japan’s democratic and pluralistic society. It is an inconvenient truth for Mr. Shaw, however, that public opinion polling shows little support for Mr. Ishihara in national politics. He put his name behind the effort to create the Sunrise Party of Japan for the upper house elections in 2010. It has seven sitting members in the bicameral Diet at present. None of their members won a seat through direct election in 2010. Only one of them won a proportional representation seat. That’s important because it means Ishihara Shintaro is incapable of electorally punishing the Democratic Party government of Noda Yoshihiko. Thus, it would seem that Mr. Shaw wants to discredit the Japanese intent to keep the Senkaku islets by demonizing Ishihara Shintaro and suggesting he has a stranglehold on Japanese policymaking. He doesn’t. I spent some time on this because Mr. Shaw is trying to add a contemporary political dimension to the issue instead of limiting himself to the presentation of historical evidence. People do that sort of thing all the time. But if Mr. Shaw wants to do it, he needs to do some homework first. My research of over 40 official Meiji period documents unearthed from the Japanese National Archives, Diplomatic Records Office, and National Institute for Defense Studies Library clearly demonstrates that the Meiji government acknowledged Chinese ownership of the islands back in 1885. I can’t determine from that translated sentence whether the foreign minister thinks the islands belong to China or the Chinese newspapers think the islands belong to China. Heck, the Chinese newspapers still think that. It might have been easy to clear up the syntax had he shown us a photo of that Japanese letter, but instead he shows us two other Japanese letters unrelated to his point. Is there an inconvenient truth in the letter he doesn’t want us to see? Any more background information he’s leaving out? Fukuoka native Koga Tatsuhiro was making a living in Naha, Okinawa, catching and exporting finfish and shellfish when he discovered in 1884 that the islets were the habitat of the rare short-tailed albatross. He started collecting albatross feathers for sale in addition conducting to his fishing business. Ten years later, he applied to the government of Okinawa Prefecture to lease the islands. They turned him down because they weren’t sure who the islands belonged to. Koga then applied to the interior and agriculture ministries in Tokyo, and they turned him down for the same reason… The Senkakus were uninhabited and unclaimed—indeed, they had never been administered at any time by the Chinese government, and there is no record of any Chinese ever living or working there. In November 1885, the Okinawa governor confirmed “since this matter is not unrelated to China, if problems do arise I would be in grave repentance for my responsibility”. The only things the Okinawa governor confirmed were that the matter might have been related to China because he didn’t know who the islets belonged to, and that claiming territory was not his job. It does not demonstrate that he knew they were Chinese. People say all sorts of things in the spirit of patriotism, particularly after a war. But that “gallant military victory” also resulted in Japanese possession of other islands: Taiwan and the Pescadores. His manner of framing Koga’s involvement and the brevity of the direct quote raise questions that a serious scholar would not leave unanswered. But if Koga, the operator of a small business, thought the islands were Chinese, Mr. Shaw would have told us. In fact, when Koga first wanted to establish a business there, he went to the Okinawa governor. That suggests he thought they were Japanese, if anything. Incidentally, Koga and his son ran that business on the islands until 1940, and more than 200 of his employees lived there. It is still possible, however, to run across commentators who say the islands are “uninhabitable”. Collectively, these official documents leave no doubt that the Meiji government did not base its occupation of the islands following “on-site surveys time and again,” but instead annexed them as booty of war. Well, that settles that, at least for Mr. Shaw. Or does it? Here are some more inconvenient truths. * The first war between China and Japan started in April 1894 and ended when the Chinese sued for peace in February 1895. * Among the terms of the Treaty of Shimonoseki signed in April 1895, Japan had China give complete independence to Korea, and received the territories of Taiwan, the Liaodong Peninsula (which Russia, France, and Germany made Japan give back a week later), and the Pescadores — other islands near Taiwan. * The Japanese government annexed the Senkakus in January 1895, one month before the Chinese sued for peace and four months before the Treaty of Shimonoseki. * The Japanese government knew that Taiwan, the Liaodong Peninsula, and the Pescadores were Chinese territory, and so insisted on them in the treaty negotiations. They even fought and defeated Qing dynasty troops at a garrison in the Pescadores and occupied the islands to ensure the Chinese would give them Taiwan in the negotiations then underway. They didn’t treat them as “booty of war”. It would be logical to assume that if they thought the Senkakus were also Chinese territory, they would have included them in the treaty too. They were getting everything else they wanted. Therefore, it would seem that the Japanese thought they weren’t anybody’s territory, much less Chinese, and so annexed them. Japan asserts that neither Beijing nor Taipei objected to U.S. administration after WWII. That’s true, but what Japan does not mention is that neither Beijing nor Taipei were invited as signatories of the San Francisco Peace Treaty in 1951, from which the U.S. derived administrative rights. What Mr. Shaw does not mention is that Chiang Kai-shek had the ear of the Allied forces throughout the war. He also participated in the conferences that resulted in the Cairo Declaration of 1943. One clause included the provision that Japan would give back all the territories it seized from China, including Taiwan and the Pescadores. Complaints about the San Francisco Peace Treaty are quibbling. Indeed, Chiang Kai-shek also wanted Okinawa, but he didn’t get anywhere with that one. The current Chinese government is still trying. Mr. Shaw also fails to mention that the reason neither the PRC or the ROC were invited to the peace treaty conference is that they were in the middle of a civil war at the time and lacked the legal status to be party to an international agreement. A post written by Prof. Shimojo Masao and presented here yesterday demonstrates that is incorrect. The Qing period records Prof. Shimojo presented — including maps that still exist — are clear about the border of China and Taiwan. None of them mentioned the Senkakus. Indeed, Qing dynasty records show that they considered the border to be Mt. Jilong in Taiwan: in 1684, when they incorporated the western part of Taiwan, and 1696, 1728, 1744, and 1793. It’s not possible to detach anything that isn’t attached to begin with. That’s most curious. If the Taiwan gazetteers were the ones who thought Diaoyu was part of Taiwan, why doesn’t he show us a photo of the publication? He does show us the photo of a gazetteer in the unrelated Fujian Province on the mainland in 1871, but none from Taiwan. Is that because he is aware of the inconvenient truths Prof. Shimojo has uncovered? Japan did not “return Taiwan to China”. It only renounced its right, title, and claim. Every scholar in Taiwan knows this. Does Mr. Shaw have another agenda? Half a century later when Japan returned Taiwan to China, both sides adopted the 1945 administrative arrangement of Taiwan, with the Chinese unaware that the uninhabited “Senkaku Islands” were in fact the former Diaoyu Islands. This explains the belated protest from Taipei and Beijing over U.S. administration of the islands after the war. The first is an official letter from a Chinese consul in Nagasaki dated May 20, 1920 that listed the islands as Japanese territory. The letter contained the Japanese name for the Senkakus rather than the Chinese name. What Mr. Shaw finds inconvenient to mention is that the document is an official expression of gratitude for the Japanese rescuing Chinese fishermen who were shipwrecked on the islets. They didn’t know what islets they were? The “belated protest” didn’t come until 1971, after the potential for undersea resources were discovered in the area and the Americans and the Japanese signed the agreement to restore Okinawa to Japan. 8 January 1953: Renmin Ribao (People’s Daily) published an article titled “The Ryukyu Islanders’ Struggle against American Occupation”　(i.e., Okinawa). The article mentioned the Senkakus, used that name, and stated they were part of the Ryukyus. Hit this link for a look at the front page of the People’s Daily, as well as a Chinese map published in 1953, and republished in 1958, 1960, and 1967. I count three more maps from China, two from Taiwan (one for a junior high school textbook), an article in the People’s Daily, and an article in a Taiwanese newspaper. And that’s not to mention the classified 1969 Chinese government map reported in the United States to be in the possession of the Japanese government, and which has been seen by sources at that media outlet. U.S. Assistant Secretary of State (for East Asian and Pacific Affairs) Kurt Campbell said islands at the heart of a dispute between Japan and China fall under an American defense pact with Japan, while urging the sides to resolve the standoff via diplomacy…The U.S. doesn’t take a position on the sovereignty of the islands, known as Diaoyu in Chinese and Senkaku in Japanese, Campbell said. His comments echoed those of Secretary of State Hillary Clinton, who said in 2010 that the islands fall under “mutual treaty obligations” with the Japan government. And that comment about the colophon is so disingenuous as to be odiferous. The author would have us believe it refers to the Senkakus, whose status wasn’t in dispute for decades before or after the second war with China. But Japan also occupied the Spratlys and the Paracels during the war and relinquished them after 1945 as well. Disputes about the Spratlys continue to the present with Vietnam. Unfortunately, the author doesn’t address anything about that part of the map. Would it show something that he finds inconvenient? In addition, the borders of China, Outer Mongolia, and Inner Mongolia frequently shifted before and after the war. Was the colophon referring to that? Instead of answer, Mr. Shaw gives us only more innuendo. The right to know is the bedrock of every democracy. The Japanese public deserves to know the other side of the story. On 21 August this year, Taiwan’s President Ma Ying-jeou appeared on Japanese television and presented his case that the Senkaku islets were Taiwan’s territory. I’d be glad to introduce Mr. Shaw to the NHK producer who edited the program for broadcast if he wants to know how much the Japanese public knows. He sure doesn’t know now. I invite any Japanese scholars to make the contrary legal case. Though a Ph.D isn’t essential to debate an activist academic, Mr. Kristof’s request is a reasonable one for maintaining the level of dialogue in his column and at the newspaper. But a Japanese scholar has already accepted Mr. Kristof’s request to make a contrary legal case, and notification of that acceptance has been sent to him. 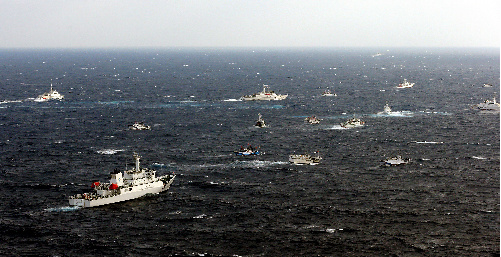 THE incident of 7 September 2010 in which a Chinese fishing boat collided with two patrol boats of the Japan Maritime Safety Agency seems to have revived China’s traditional hegemonism. Whenever a new dynasty in China has been established and the nation’s strength has grown, history repeats itself as the Chinese launch military invasions of neighboring countries, subjugate them, and create a system of vassalage with the surrounding countries. China’s national strength has again grown quite substantially, and they are now exhibiting similar behavior. This was also repeated in the years immediately following the Second World War. The People’s Republic of China was founded in 1949 after the end of that war. At the same time, the Chinese Communist Party attacked East Turkistan (now part of the Xingiang Uighur Autonomous Region), and brought Tibet under their control. Now, China claims the territory of the Senkaku islets and the Spratly Islands. They are also hotly contesting with South Korea the possession of Ieodo (a submerged reef 4.6 meters below the surface of the sea, which the Chinese call Suyanjiao) in South Korea’s exclusive economic zone. But we have something to confirm first. The Senkaku islets were incorporated as Japanese territory through a Cabinet declaration of 14 January 1895. It is also a fact that Japan has continued to maintain effective control of them since then. China and Taiwan first expressed an interest in the Senkakus in June 1971. That’s when the “Agreement between Japan and the United States of America Concerning the Ryukyu Islands and the Daito Islands returning Okinawa to Japan” was signed. The Senkakus were included as part of the Okinawa islands. The Chinese government declared the Okinawa islands as part of the “First Island Chain” for national defense, and designated both Taiwan and the Senkakus as part of their “core interests”. They consider their Foreign Ministry declaration of 31 December 1971 to be still valid. For the Chinese, the ultimate objective is to gain control of the Senkaku islets. One has the sense that this pending issue between the two countries came suddenly to the forefront with the incident involving the Chinese fishing boat two years ago. Now, Japan must see clearly the traditional Chinese diplomatic stance and respond strategically. This article uses Chinese documents to verify from a historical perspective whether or not the Senkaku islets were “part of the Republic of China’s territory”, or “part of the indivisible territory of China since ancient times”. This is the urgent necessity before us. The Japanese government gave names to 39 uninhabited islands, including those of the Senkaku islets, in Japan’s exclusive economic zone as of January 31 this year. The State Oceanic Administration of the People’s Republic of China retaliated by giving names to 71 islands, including reefs near the Senkaku islets. 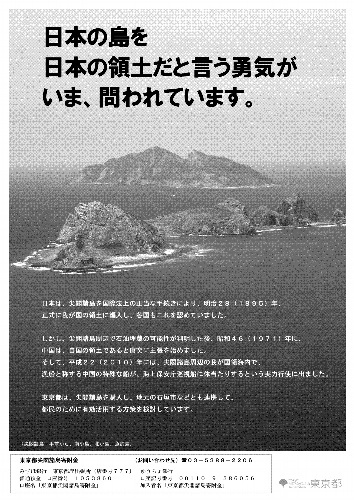 The day after Japan’s Chief Cabinet Secretary Osamu Fujimura announced the names of the uninhabited islands, the People’s Daily, the official newspaper of the Communist Party of China, printed an article in their 17 January edition that designated the Senkaku islets as a core national interest for which China’s security admitted no compromise. It is the same designation given to Tibet and Taiwan. They added that the islets had been “an integral part of Chinese territory since ancient times.” This historical interpretation is well worth noting. It is the logic that the Senkaku islets were Chinese territory before their incorporation into Japan. It is the same logic of South Korea, which holds that Japan unlawfully seized Takeshima during the Russo-Japanese War. The following day, two maritime research vessels from the State Oceanic Administration encroached on Japanese territory near the Senkaku islets. Hailed by a patrol boat from the Maritime Safety Agency, they responded, “We are performing our duties in this area. 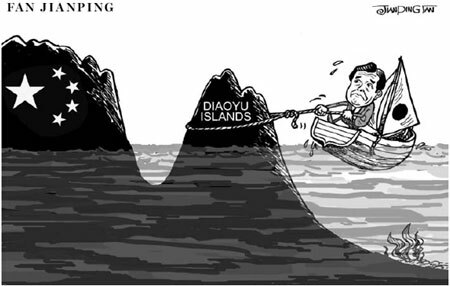 These islands, including Diaoyutai, are Chinese territory.” Once again, the historical interpretation that the islets were “an integral part of Chinese territory since ancient times” is the basis for this behavioral principle. The thinking is the same as in the Chinese Foreign Ministry declaration of December 1971, and the Chinese have utilized the Inoue book to the maximum. In fact, after the collision between the Chinese fishing boat and the Japanese ships occurred, Chinese Foreign Ministry media spokesman Jiang Yubao insisted that the Senkakus were Chinese territory and cited Mr. Inoue’s book as a basis for the claim. 1. The Diaoyutai were not terra nullius, but Chinese territory dating to the Ming Dynasty. 2. Japan’s possession was an act of plunder that took advantage of their victory in the war. There were similar views in both Taiwan and China, but the book was prized in China and quickly translated into Chinese because it was written by a Japanese scholar. Does the view of Mr. Inoue that the islets are Chinese territory have any basis in historical fact? Let’s examine Chinese historical awareness as the current tension surrounding the Senkakus continues. The grounds for the Chinese claim of the islets is that they were used as a navigational marker on the route taken the emissaries sent to the Ryukyu Kingdom (now Okinawa) when they were a Chinese vassalage during the Ming and Qing Dynasties. This is, in fact, true. The argument that the islets were Chinese territory during the Ming Dynasty is found in the name Diaoyu, one of the islets mentioned in the Shun Feng Xiang Song, (Voyage with a Tail Wind) a navigational guidebook from 1403. The Chinese have also used the records of the emissaries sent to the Ryukyus since the Ming Dynasty as proof of their claim that the islets have historically been their territory. 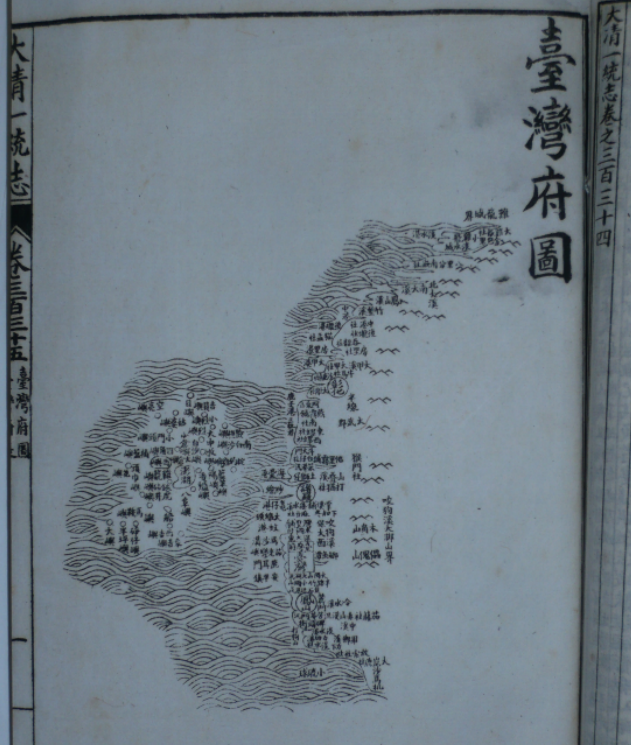 The name of the islets (either Diaoyu or Diaoyutai) were cited in Shi Liu Qiu Lu (Records of the Envoys to Ryukyu) by Chen Kan (1534); Chong Bian Shi Liu Qiu Lu, a revised version of the same records by Guo Rulin (1562); Shi Liu Qiu Za Lu (Assorted Records of the Envoys to Ryukyu) by Wang Ji (1683); Zhong Shan Yun Xin Lu (Records of Messages from Zhong Shan) by Xu Baoguang (1719); Liuqiu Guo Zhi Lue (History of the Ryukyu Kingdom) by Zhou Huang (1756); Shi Liuqiu Lu (Record of Ryukyu Missions) by Li Dingyuan (1800); and Xuliuqiu Guozhilue by Zhai Kun (1808). The Xu Baoguang document and the Zhou Huang document had appended navigation charts on which the islets of Diaoyu, Huangweiyu, and Chiweiyu were shown. Further, the Chen Kan document explains that Kumejima (part of Okinawa Prefecture) is part of the Ryukyus, and the Wang Ji document states that the “boundary between China and the outside” lies between Kumejima and Chiweyu. That is the basis for the Inoue and Chinese insistence that the Senkakus are part of Chinese territory. In the fall of 2005, Haigyoji, supposedly a lost section of Fusheng Liuji, was discovered in a used book stall in China. One passage read, “Sighted Diaoyutai on the morning of the 13th”. China regards this as ironclad proof that the Senkakus belong to China. In the Chinese interpretation, Haigyoji is a depiction of the main character of the Fusheng Liuji who travels to the Ryukyus in 1808 in the company of Zhai Kun, the Imperial emissary. Using the Haigyoji as the basis for the territorial claim does not hold up, however. The Imperial emissary Zhai Kun sailed from the port of Fuzhou early in May 1808 for Naha in Okinawa, and along the way he passed Wuhumen, Jilongshan, Diaoyutai, Chiweiyu, Heigouyang, Gumishan, and Machishan, arriving in Naha on the night of the 17th. Zhai wrote a poetry anthology titled Dongying Baiyong (One Hundred Verses from the East) in which he included a poem of eight lines called Hanghai Bayong describing his voyage from Taiping to Naha. Each line in the poem is a five-character verse, and one of them is titled Jilongshan, a mountain located in the province of Taiwan. Zhai wrote that this mountain was considered to be the boundary of China, and that Jilongshan of Taiwan province was the boundary of the Qing Dynasty. Zhai wrote of Gumishan (Kumejima) as his ship neared the Ryukyu kingdom. In the footnote to this verse, he writes that this mountain is within the boundary of the Ryukyus. (N.B. : There are mountains on Kumejima, which is apparent from the Chinese name Zhai used.) In other words, Zhan is saying that Mt. Jilong (Jilongshan) is the boundary of the Qing Dynasty and Gumishan is the boundary of the Ryukyus. Thus, Diaoyutai and Chiweiyu, which are between those two, must therefore be terra nullius, neither part of the Qing Empire or of the Ryukyu Kingdom. Zhai Kun once again wrote that Mt. Jilong was the border of China in a subsequent work titled Du Hai Yin Yong Xi Cheng Peng Po Lang Tu Yun, which was rhymed verse based on the idea of a brave sea voyage to the western border. Just because the passage in Haigyoji reads, “Sighted Diaoyutai on the morning of the 13th” does not mean there is ironclad proof that the Senkakus were Chinese territory. We turn to the question of why Zhai Kun regarded Mt. Jilong as the boundary of China. In his book Dongying Baoyong (One Hundred Verses of the East Sea), Zhai wrote that Mt. Jilong was “a mountain on the edge of Taiwan province”. The provincial government in Taiwan at the time held that Mt. Jilong was the northern border. The Qing Dynasty placed that government in Taiwan in 1684, and they cited that mountain as the border to the province. The Taiwan Fuzhi (History of Taiwan Province), compiled annually by Jiang Yuying during the reign of Emperor Kanxi, states that the prefecture extends 2,315 li north to Mt. Jilong, That is echoed in the revised 1696 edition, when the same distance to the mountain is cited and the mountain is called the boundary. The 1696 edition contains this map. The documentation cites the same distance to the mountain and calls it the boundary. The Jilong Castle and Mt. Jilong are located near the present-day city of Keelung. Here is the basis of Zhai Kun’s statement in the Dongying Baiyong that the mountain was the boundary of China. Therefore, the arguments that the islets were Chinese territory because the name Diaoyu was mentioned in the Shun Feng Xiang Song of the Ming Dynasty, or that the name Diaoyutai is noted in the records of Chinese emissaries, do not constitute proof that the Senkakus are Chinese territory. Taiwan did not become Chinese territory until the Qing Dynasty. 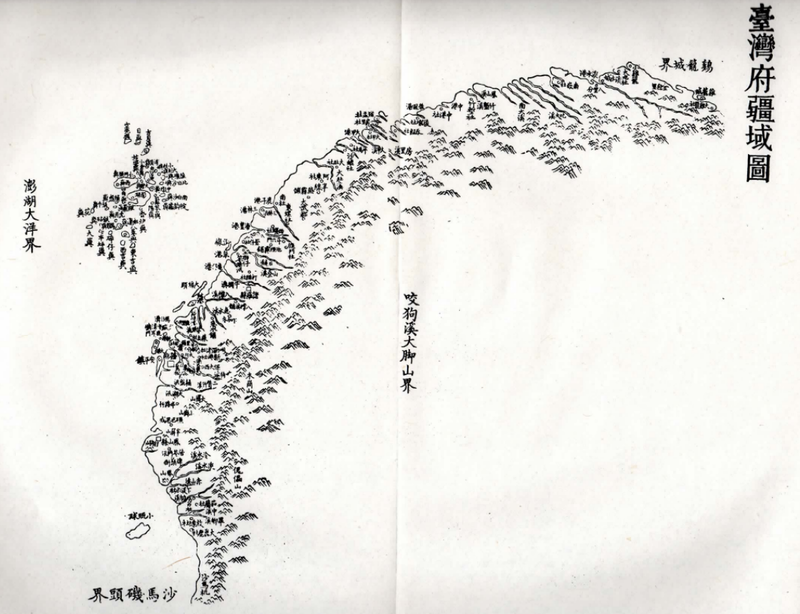 In fact, the Daming Yitongzhi (Waiyu) (The Great Ming Journal of Unification [Foreigners]), an official geographical reference compiled during the Ming Dynasty in 1461, states that the Penghu Islands, also known as the Pescadores, located between Fujian Province and Taiwan, were part of the Ryukyu Kingdom. They were not part of Taiwan during the Ming Dynasty. This fact can also be confirmed in the Daqing Yitongzhi (The Great Qing Journal of Unification) compiled during the Qing Dynasty. The Daqing Yitongzhi states that Taiwan was a distant frontier territory, and refers to it as the land of the Eastern Barbarians (dongfan, often a general term for ethnic minorities) that wasn’t a part of China. It also states that people from Japan had congregated there during the early part of the Ming Dynasty, that Zheng Zhilong (Chinese merchant, pirate, and admiral) had outposts there, and that the Dutch also came. The edition published during the reign of the Emperor Qianlong states simply that Taiwan was part of Japan. Taiwan was incorporated into the Qing Dynasty in 1684. Taiwan Province, located in Taiwan, had Mt. Jilong as the northern border of its administrative district. That’s why Zhai Kun twice stated the mountain was the border of China when he passed Taiwan on his way to the Ryukyus to fulfill his duties as emissary. The territory of Taiwan province is shown in a map contained in the Taiwan Fuzhi. Using that as the basis, the Qing Dynasty compiled the official Qinding Gujin Tushu Jicheng, an atlas, in 1728. The map of Taiwan province in that collection does not show the Senkakus at all. It shows Mt. Jilong as the northern border of the territory. That’s because the mountain was designated as the northern border of Taiwan province before Zhai Kun traveled to the Ryukyu Kingdom as emissary. The Daiqing Yitongzhi published in 1744 also shows the mountain as the northern border, and it too does not show the Senkakus. This geographical awareness is continued in the Haiguo Wenjianlu (Records of That Seen and Heard of Overseas Countries) published in 1793. The Senkakus were not part of Taiwan. All of this demonstrates that the Senkakus were terra nullius when the Japanese government incorporated the islets as Japanese territory in 1895. The geographical recognition of Mt. Jilong and the Jilong Castle as the northern border of Taiwan was continued into the era of the Republic of China following the pattern of the Daqing Yitongzhi in the Huangzhao Xuwenxian Tongkao (A Review of Dynasty Documents), compiled in 1912, and the Qingshigao (Draft of the Qing Dynasty History) of 1927. From the Ming Dynasty through the Qing Dynasty to the days of the Republic of China on the mainland, the Senkaku Islets were not part of Taiwan’s territory. China thus is claiming the Senkaku islets are their territory and that Japan used the war with China as an excuse to steal them, based on the information contained in the Inoue book. Mr. Inoue’s manipulation of the historical documents was careless, however. It is not possible to use his book as the basis for the Chinese claim. One of the first to refute Mr. Inoue’s research was Okuhara Toshio, then an associate professor at Kokushikan University. Mr. Okuhara’s specialty is international law, but he employed both international law and historical materials, including the Taiwan Fuzhi and the Jilong Fuzhi (History of Keelung) as a basis to show that the Senkakus were not part of Taiwan. Historical research has not proceeded beyond Mr. Okuhara’s work, however. Therefore, the dispute between Japan, who claim the islets based on international law, and China, which claim the islets based on their historical interpretation that they were Chinese since the Ming dynasty, has not been fully engaged. It has not been possible to overturn the Chinese claims that take Mr. Inoue’s book as gospel. When one carefully reads the Chinese documents, it is clear that Mr. Inoue’s research was arbitrary. As Zhai Kun wrote that Mt. Jilong was the border of China in Dongying Baiyong, and that Gumishan (Kumejima) was the border of the Ryukyus, the Senkakus were terra nullius before Japan incorporated them. China has no historical title for which to base their territorial claim in the islets. Consequently, when China claims the Senkakus as their core interest and says they were Chinese territory from the days of the Ming Dynasty, it is rooted in a territorial ambition based on the idea of imperialism. It is similar to the South Korean claim in regard to the debate over the Takeshima islets, which they illegally occupy. They insist that Japan unlawfully took possession of the islets from them. This is the climate in which Russian President Putin brought up the resolution of the issue of the four islands it holds off of Hokkaido, known as the Northern Territories. Understanding that Japan was incapable of moving on the territorial issues with China and South Korea, he sees this as a golden opportunity. Territorial issues are difficult to settle if the country that has seized the territory refuses to budge, but the countries involved have begun to take action on their own. Japan must first clearly see and understand the traditional Chinese approach to foreign affairs and make a strategic response. That’s because now is the time to resolve these issues. * Clicking on the maps will enlarge them. I’m sure everyone knows the words used to describe people who “go beyond the law”. * So, China, Russia, and South Korea are thinking of ganging up on Japan to cut themselves each a slice. There is no better way to accelerate the move to amend the peace clause of the Japanese Constitution, and indeed, to have Japan consider taking up nuclear weapons. Estupido. But they’ll find a way to blame it on Japan. One wonders if they would make so bold if a different president were in the White House. THE above photo showing a taxicab with the warning that the driver will refuse to accept Korean passengers was taken in Taiwan. Unseen by the media eye in Japan and the West — but not in the Sinosphere — is that anti-Korean sentiment is ablaze in Taiwan. 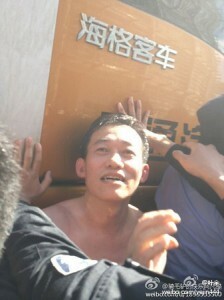 It’s become so heated that President Ma Ying-jeou has asked his countrymen to keep the cool head. There’s been a long-simmering irritation in Taiwan with the behavior of Korean athletes and judges in international sporting competitions. 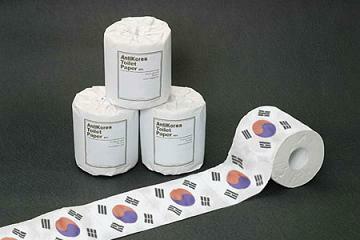 It’s based on the widespread perception that the Koreans play and judge dirty. There is also irritation at Korean media and Net user behavior when they’re displeased by unfavorable results in those competitions. This being East Asia, there are additional complications, and one of them is the charge, even in Taiwan, that pro-PRC Taiwanese use the Koreans as a target to redirect anger from the mainland. Emotions started to boil two years ago when Taiwanese representative Yang Shu-jun was favored to win a medal at the Asia taekwondo championships, and you can see where this is leading. The dispute arose when Ms. Yang was in the process of trouncing her Vietnamese opponent. The judge disqualified her mid-match for having one sensor too many on the backs of both her shoes. The sensors detect strikes of the opponent, and the extra sensor might have made it easier to score points. Ms. Yang was told to remove the sensors during a pre-match inspection. After she passed the mandatory formal inspection, a judge spotted the sensors again during the match, which caused the disqualification. That touched off a Youtube link battle with videos of the match and Internet combatants insisting there was nothing extrasensory about her footwear at all. The Taiwanese were also upset because the decision was made without giving their side a chance to explain. That the match judge was a Filipino citizen of Korean ancestry and the World Taekwando Federation secretary-general is Korean made it all the more entertaining for everyone. The most recent Taiwanese explosions started with Korean complaints of unfair judging during the London Olympics. One incident involved South Korean fencer Shin A-lam, who lost a match against a German opponent after a dispute over whether there was a timekeeping foul-up. The South Koreans appealed and lost that too. Ms. Shin stayed on the floor waiting for the result of the appeal, because leaving would have meant that she accepted the ruling. The English-language media described this as a “sit-in protest”. She was finally led away before the decision was announced. Others pointed out the reason for all the mistakes was that the 2012 Olympic mascot had only one eye. Yes, they said “colonial power”. There were also complaints that a Japanese judge was responsible. No Japanese names were among the several judges and commission members mentioned in the British newspaper reports I read. This behavior piqued the interest of Chinese sports fans. A column on the Sina news network said the Koreans should stop complaining because the adverse decisions were the result of “cause and effect”. The author added that Koreans did nothing but complain and looked at things only from their perspective. A thread on this topic began on the bulletin board connected to the Baidu search engine in China. Here’s a sample of the comments as reported in the Chinese media. * The South Korean surefire method of victory when they lose is to blame it on the judges. * This again? Koreans are Koreans, I guess. Frogs at the bottom of the well. * The only thing the Koreans know how to do is blame judges. * In other words, what they’re saying is they would have won if the judge were Korean. * This is really tiring. Why don’t we just save ourselves all the trouble and let the Koreans win everything? * Before long the Korean media will be saying that the Japanese winner really has Korean blood. If you’re keeping score at home, this is touché times six. Thus began a new game on the Taiwanese Internet: Let’s see how we can take the piss out of the Koreans by redesigning their flag. Here’s one example. Another included replacing the blue and red circle in the middle with two pigs embracing, and yet another replaced the disc with a steaming pile of dung. More diversions were provided by launching a cyber-attack on the website of the office of the South Korean president, burning Korean flags, and throwing eggs at Korean schools. That’s when both President Ma and Yang Shu-jun asked everyone to settle down. Little of this, as far as I’ve seen, has appeared directly in the Japanese mass media. I found most of it on the websites that offer direct Japanese translations of articles from the Chinese media and websites. That the flag in question is “strictly prohibited by the international community” will come as news to the international community. 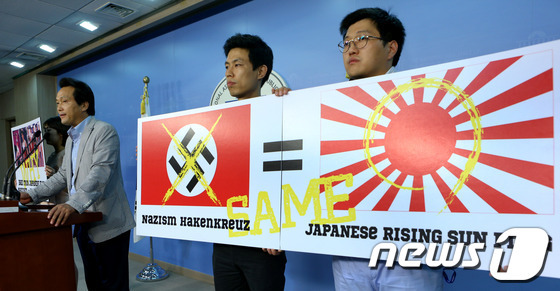 Incidentally, accusing someone in South Korea of being a Japanese sympathizer in the current climate is the rough equivalent of claiming that they read a chapter of Mein Kampf every night before bed. As always, the Japanese mass media is the epitome of sang-froid when incidents such as these arise. You don’t have to take my word for it. Here’s a clip from the Japanese broadcast of the women’s basketball match between Japan and South Korea in Ankara in June for a berth in the Olympics that Japan won 79-51. Japanese language ability isn’t required to understand the tone of voice when the play-by-play announcers watch the Korean team deploy their “boxing out” techniques. South Korea is in black and Japan is in white. …Once the people’s anger appears on the surface, it will be a more difficult job than it is now for the dictatorship to maintain the status quo in which the people stay quietly at home or silently endure their hardships. – Taiwanese activist Zeng Jiancheng, who went ashore on the Senkaku islets with 13 other Chinese adventurers from a Hong Kong-based ship earlier this month. He was carrying Taiwan’s flag. KONDO Daisuke returned to Japan in July after spending the past few years in China. He works for the publisher Kodansha, and he is now the editor of the weekly Shukan Gendai. Many of the magazine’s articles appear on the Gendai Business Online website. Last week, Mr. Kondo contributed an article about his experience on Chinese television. He appeared on a television debate on the subject of the Senkaku islets on Phoenix TV this March. He explains that Hong Kong-based Phoenix TV is similar to CNN. One of their reporters and one of their cameramen were among the 14 people on the ship of Chinese adventurers who sailed from Hong Kong to the Senkakus, created an international incident, got arrested, and were tossed back to China. Phoenix TV told him the debate would be between five people on both sides of the issue, and they asked him to appear in their Beijing studio. He agreed on the condition that freedom of speech would be protected. Mr. Kondo explained that he had been asked to appear on Chinese television before, but always withdrew because it became apparent during the pre-appearance briefings that what he said would be heavily edited. The network agreed, and so he went to the studio. There he found that two of the Japanese had backed out at the last minute, and that the other two decided they wanted to sit in the audience as observers. That left him to go one on five with 100 excited Chinese in the studio audience. The story continues in his words. With the bright spotlights shining down from all four sides, I literally felt sandbagged. Fortunately, the host was the popular Hu Yihu from Taiwan, and he stayed neutral until the end. Thanks to him, the program was finished before any of the Chinese slugged me. And thanks to the Phoenix TV program, I gained a valuable experience in the time it takes to watch a movie. What I understood was that for the Chinese, the territorial issue of the Senkakus isn’t one of rationality and logic, but of emotion and action. A debate based on who was there first historically as recorded in documents is not without meaning, but that is not the essence of the issue. That’s because the Chinese have an overwhelming emotional resentment, and they harbor a wish to overturn that with action….If Japan continues to maintain control over the Senkakus, each Japanese must consider this issue as a problem that affects each one of them, in the same way that they thought about the earthquake recovery and the government pension issue. That’s because the other side is heading toward us for a collision and is deadly serious. As long as the Hu Jintao government remains in office, the possibility that the Chinese government will resort to violence by sending the PLA is near zero. But would it be zero for the next government of Xi Jingping? If they were to consider it calmly, a military confrontation with Japan would also be unlikely. The difference with Hu Jintao, however, is that Xi Jinping has the support of the PLA, the largest power base of The Princelings (the descendants of prominent CCP officials). The military everywhere throughout the world, past and present, tend to be the hardliners. 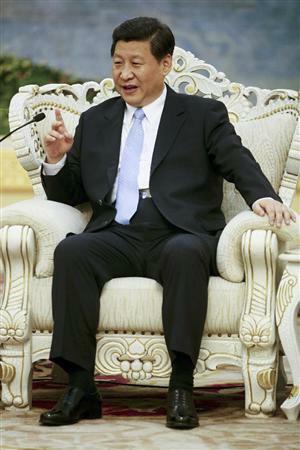 In short, the new Xi Jinping structure can be expected to take a harder line toward Japan…. One other thing I learned from my appearance on Phoenix TV is that we must be able to accurately determine when the Chinese mean what they say and when they are just speaking for public consumption. One of the five Chinese experts who appeared on the program debating the Senkakus issue was an impressive person. He came up to me in the Green Room before we started. He then bowed deferentially. But as soon as the program began, right from the start, he pointed his finger at me as if I were a devil or a demon. He kept it up until the end of the program. I couldn’t believe my eyes — was this the same man who had bowed to me in the Green Room? 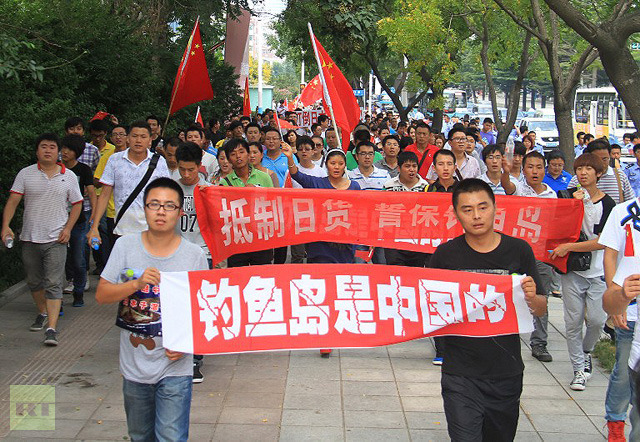 I’ve debated the Senkakus issue with many people in Beijing. Individually, the Chinese are not at all like the cookie cutter government broadcasts. They have a diversity of opinions. Of course there are hardliners, but there are also people who don’t care which country the land belongs to, or are fine with the way things are now. It is extremely important for Japanese to understand the true beliefs of these Chinese. My concern: It is also extremely important to realize that if the new Chinese government continues to use xenophobic nationalism as a weapon and starts pushing harder, that diversity of opinion will evaporate. Everyone will rally behind the idea of Greater China. 1. Make the Senkakus an administrative district of China and make the islands a municipality in Chinese Taiwan’s Yilan county. 2. Establish the territorial waters of this municipality by law. Present this to the National People’s Congress and have them make a declaration. 3. Establish the islets as a military training district. Also, make it a target range for the Air Force. 4. Send the Coast Guard to defend the waters around the municipality. Mobilize PLA navy ships, not just the fishing patrol boats. 5. Create a corporate development group to develop the municipality and the nearby waters. The group will extract the oil and develop the fishing industry. The tourist business should also be developed for trips to the municipality. 6. Stating our claim to the world that the South China Sea and the Diaoyutai are our territory is essential. This, he says, is the same as the strategy for the South China Sea that he proposed in March. I’m not sure how successful they would be in attracting tourists to the islets to begin with, much less if they were used as an Air Force target range, but that seems to be the sort of thing they take seriously on Chinese television. When he talks about the commercial and tourist industry development, the background film stock is of naval vessels and a submarine. Here’s the interview with Japanese subtitles. This is an excellent article by Michael Turton at The View from Taiwan on New China Newspeak and the attempt by the Chinese to control the semantics of Chinese-related discussions, even in English. Chinese bravos sailing out of Hong Kong storm the Senkakus shortly before being arrested. 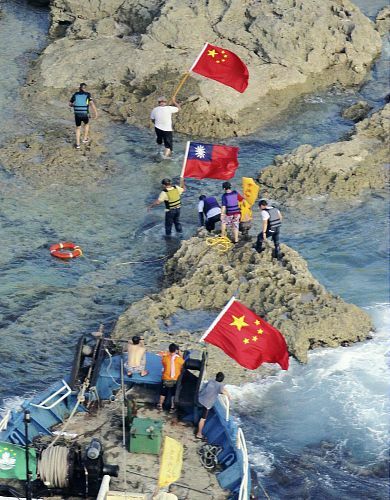 The Xiamen Economic News of China photoshopped the Republic of China (Taiwan) flag out of this (or a similar) photograph and left the People’s Republic of China (PRC) national flags untouched. ONE of the unexpected benefits of extensive study and research into Japan is that it exposes the imposters — immediately and without forgiveness. Also unexpected (at first) was that the worst of the imposters turned out to be the biggest brand names in professional journalism. Now it is no longer unexpected. It’s a handy rule of thumb. Seated among the inner circle of the hierophantic fabulists is The Economist of Britain. Their ability to offer their consumers worthwhile information on Japan is in indirect proportion to their international reputation. It is as if their objective is to provide a burlesque of news coverage for the entertainment of their readers, rather to provide information and educated analysis. The activities they would characterize as jingoist in the piece regarding the Senkakus are exclusively Japanese. Here are the facts: Japan was the only country to have taken an interest in the islets, and both China and Taiwan recognized them as Japanese territory, until it was determined there could well be extensive deposits of natural resources in the seabed nearby. Japanese are the only people to have lived there. The Chinese gave them a name a few centuries ago, but only because they are a maritime landmark on the sea route to the Ryukyus. But because they insist on territorial integrity, the Japanese are slapped with the “jingoist” label. Apart from the novel coinage of “goat-infested”, the title and the subheading are an attempt to cop some edgy blogger snark that comes off instead like white suburbanites singing the praises of Jah Rastafari. When you can’t back up an attitude with real ability or knowledge, it’s just a pose. IN THE 1970s Japanese ultra-rightists took two goats on a 2,000km (1,250-mile) trip southwest from Tokyo to a group of uninhabited rocks near Taiwan called the Senkaku Islands. In the absence of humans willing to live in such a remote outpost, the hardy creatures would be the vanguard of a new push to solidify Japan’s hold over the islets, which are also claimed by China and Taiwan. Goats in the vanguard, eh? The impression they want to create: There go those clazy Japanese ultra-rightists again. The reality they want to ignore: Behavior of this sort is too rare to have any significance other than as media space filler. Some overexcited Chinese buccos have also used the Senkakus as a playground, but The Economist ignored them too. By the way, the goats — 1978 was the date of introduction — are viewed with alarm by environmentalists worried they are despoiling the pristine natural environment (which is, by treaty, a live ammunition target range for the US navy). Now the prime minister, Yoshihiko Noda, has signalled a more serious involvement in the dispute, by suggesting on July 6th that he plans to nationalise the privately held chain. What they mean is that Mr. Noda wants to buy them from the Japanese who own them. They are already part of Japan. On July 11th three Chinese patrol vessels were briefly spotted by the Japanese coastguard in waters near the Senkakus. That led to a flurry of hot-tempered diplomatic exchanges. The article implies this “brief spotting” is the reason for all those whacked out jingoist jangles. It contains only a brief reference to the hot-tempered Chinese response in the fall of 2010 when a Chinese “fishing boat” captain rammed two Japanese Coast Guard vessels warning him of approaching the islands, the captain’s arrest, and the Chinese government’s subsequent scenery-chewing performance in the role of Righteously Indignant Great Power on the world stage. The single reference consists of two sentences at the end of paragraph eight of a nine-paragraph piece, and mentions only “Chinese protests”. In the real world, the Chinese protests included a cutoff of rare earth metal exports to Japan and the trumped-up arrest on spying charges of two men working on an environmental project in China for Chinese benefit. Mr Noda’s move is a clear political victory for Tokyo’s governor, Shintaro Ishihara. In April the famously outspoken nationalist, who has long warned that Japan could become a “colony” of China, announced a plan to buy the Senkakus on behalf of the city. The article contains no mention of the revelation that Sengoku Yoshito, the first chief cabinet secretary in the Kan Cabinet — the people who botched the 2010 incident — told another legislator that the Japanese were already vassals of the Chinese. In The Economist formulation, ex-Socialist Sengoku meekly accepting the fate of vassalage is not worthy of remark, but an effort by a prominent politician to maintain territorial integrity requires that he be termed a “famously outspoken nationalist”. One wonders what The Economist would say if the French took it into their heads to claim Guernsey. Goats live there, too. A private fund raised 1.3 billion yen ($16.4m) in donations, with pledges of more. That amount is a reflection of public interest and is a direct result of both Chinese behavior and the DPJ government’s limp response two years ago, but The Economist will never tell you that. The tailwind behind Mr Ishihara’s campaign forced Mr Noda off a fence on which most Japanese leaders have sat since 1971. What “sitting on a fence” means in this context, I have no idea, and I suspect the author doesn’t either. Japanese national leaders never had to do anything about the islets until the Chinese took it into their heads to resume their occupancy of the chair Evil Western Powers forced them to vacate as the Flower in the Center of the Universe. That was when China began to make diplomatic noises about what it calls the Diaoyus. The day after Mr Noda’s announcement, a spokesman in Beijing called the islets “sacred territory” and pledged to defend them. Want to bet if it were Ishihara Shintaro they’d have found some way to combine rightwing Japanese nationalism with the threat of a holy war? Not coincidentally, The Economist fails to mention that the app showed samurai, ninja, and other stereotypical characters “invading” islands that are part of Japan. But the publication thought it was “patriotic” for the Chinese, rather than ultra-rightwing nationalist. China believes the islands were annexed by Japan as spoils of the 1895 Sino-Japanese War. Trying to justify hegemonistic behavior causes people to believe a lot of things, and this belief is incorrect. Approximate correlation on the time scale does not mean causation, or even connection. Even the Japanese Communist Party doesn’t buy it. What is correct: The Chinese and Taiwanese recognized the islands as Japanese in official documents, maps, and even a newspaper article in the Maoist-era People’s Daily, starting in 1895. The boulevard-sized paper trail still exists. China complained throughout the 1930s and during the war about Japanese and French possession of islands in the South China Sea, but said nothing about the Senkakus. The San Francisco Treaty after the war that formally determined which Japanese-occupied territory was to be removed from Japanese possession allowed the Senkakus to remain Japanese. The Chinese had no problem with Japanese possession of the islands until (1) resources were discovered nearby, and (2) the Americans returned Okinawa to Japan, which meant that the Chinese now only had to deal with a Japan hamstrung by a pacifist constitution, rather than the U.S. military. In 1972, at the end of America’s post-war occupation of the Okinawa islands, they reverted to Japan. It refuses to acknowledge the claims of either China or Taiwan. What is the reason for the appearance of the second sentence? Why should they acknowledge their claims? In pushing for nationalisation, Mr Noda may be trying to prevent further tensions. Mr. Noda is trying to prevent the Chinese from annexing Japanese territory. By doing so, he is also trying to prevent China from prying loose Okinawa and making it a 21st century Chinese fiefdom. But the magazine (which they still insist on calling a paper) ignores the nominally non-governmental efforts of Chinese to accomplish the latter. Investigating that would require reading Chinese newspapers and websites. Too much work, what? But if China takes it the wrong way, the stakes will become higher than fish and a few scraggly goats. There is only one way for a hegemon to take rejection, and that is the wrong way. Note, by the way, another desperate attempt to combine cleverness with commentary with the fish-and-goat snark after they already wrote that oil and gas deposits were at stake. For another example of The Economist’s imitation of a color Sunday comic strip, try this blog post from two years ago by someone whose ignorance of contemporary Japan is exceeded only by his ability to communicate with the ephemera of ultra-rightwing Japanese militarism during a séance. They were quickly put in their place by the person who wrote the comment at the top. Their explanation of the blog’s title on the right sidebar provides more unintentional humor. It is clear that getting things right is not the objective of the magazine. Indeed, the consistent extremist slant of their pieces on Japan raises suspicions that they’re still bitter over the early wartime Japanese success that signaled the beginning of the end of the British Empire. It also raises the suspicion that the rest of their magazine is equally worthless. Falsus in unum, falsus in omnibus. One has to feel sorry for the people who consume the publication and thereby think they know something of what is happening in the world. They certainly won’t know anything about East Asia. UPDATE: Chinese intentions become clearer still, but some people would rather not get it. This track has the finest in musical infrastructure — the band, the singer, and the arrangement are superb. All of it is wasted on the lyrical content. It is the perfect analogue for the two articles cited in this post.